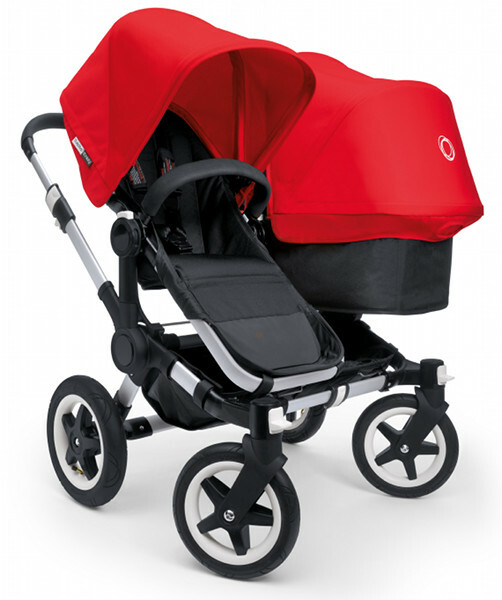 Order the Bugaboo Donkey pram today at Minimee! The wait is over! While a lucky few got in early to secure the very first Australian shipments, there are many still waiting to order the much-coveted Bugaboo Donkey pram. After being sold out for a few months, we’re happy to reveal you can order one right this very minute! Minimee has just activated its Bugaboo Donkey order pages for the three models and there’s stock ready to be shipped to you right away. Those of us not expecting babies here at Babyology have itchy fingers and covetous minds but many of you have the perfect excuse to buy this amazing mono-duo-twin designer dream pram. The Mono version is $1699, Duo model is $1999 and the Twin configuration is $2199 at Minimee! Don’t forget the accessories either; grab a sun canopy for $99.95 and a breathable seat liner for $79.95 for those hot summer days.